* Applicants will be interviewed and accepted on a rolling basis, so applying before the application due date of Monday, July 1 is encouraged. •	Assist with hands-on construction tasks including, but not limited to, demolition, site prep, framing, insulation, drywall, flooring, finish carpentry and landscaping. Projects may include new and gut rehab homes. 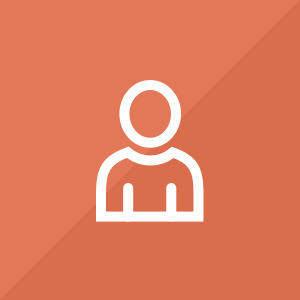 •	Use volunteer management techniques to facilitate positive experiences for volunteers and partner families working on site. •	Collaborate with construction staff to identify skilled/enthusiastic volunteers and cultivate their involvement in Habitat’s work (i.e. encourage them to consider being trained as regular site leaders and/or returning volunteers). •	Maintain site safety through modeling of safety practices and guidelines, volunteer education, and site monitoring. Attend safety trainings with our construction staff. •	Provide on-site orientations and safety talks to groups of volunteers and family partners. •	Maintain site logs for each project completed in order for supervisor to assess progress and next steps. •	On occasion, member may participate in larger community projects such as lot clean ups, community gardens, etc. •	Attend and participate in select affiliate events; responsibilities may include set up, cleanup, and engaging with attendees and informing them about the AmeriCorps program, our affiliate’s mission and NR programming, and how to become a volunteer and/or family partner. 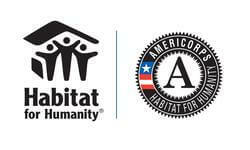 Habitat AmeriCorps members will have the opportunity to travel to 2 national events: National Service Leadership Conference and the Habitat AmeriCorps Build-a-Thon. Habitat AmeriCorps members also receive a variety of position specific trainings including safety courses and more. We will share your profile and application with Habitat for Humanity International. Before we can tell Habitat for Humanity International to look at your profile and review your application, we need a few more details about you.